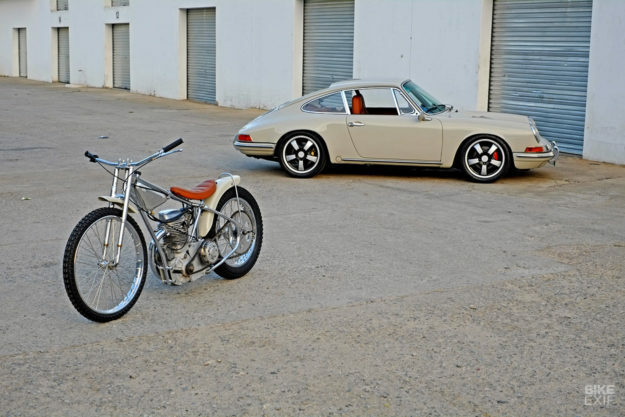 If you’re into classic Porsche 911s, you’ve probably heard of the restorer Dutchmann. In his Johannesburg, South Africa workshop, Gavin Rooke painstakingly rebuilds classic Neunelfers to concours level, and ships his ‘Weekend Racers’ all over the world—ready to be thrashed around tracks, up hill climbs and through deserts. But every so often Gavin and his craftsmen take on a special project, to keep their skills fresh: ‘We seek inspiration from different people and their interests,” he says. 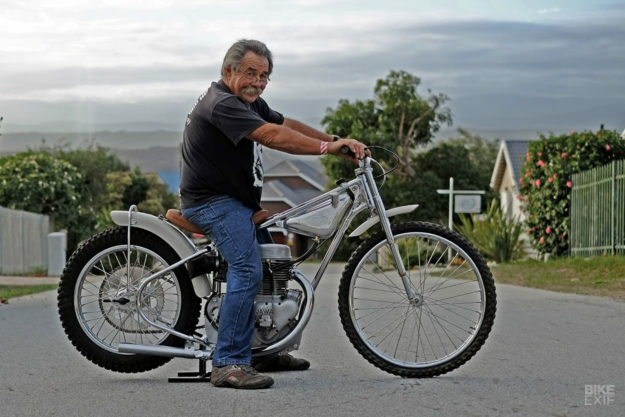 One such individual is 65-year old Bobby Hack (below), a retired Speedway legend who lives in the Eastern Cape. A little background, in case you live outside the speedway hotbeds of Europe and Australia: the bikes have only a single gear and no brakes. Their 500cc engines rev up to 11,000 rpm and run on methanol—which allows 16:1 compression ratios to produce upwards of 80 horsepower. 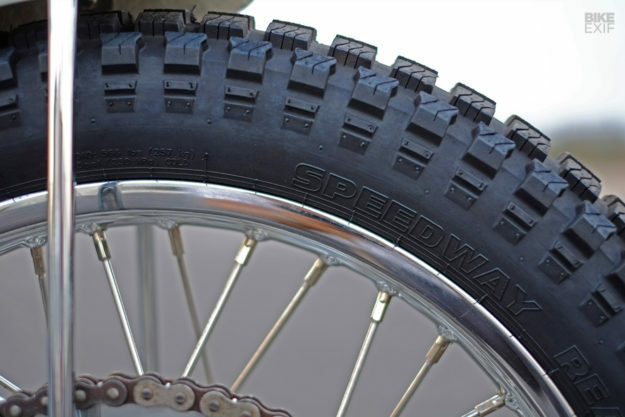 Gearing can be changed for different tracks and conditions, but only by changing the size of the rear wheel and the engine sprockets. Riders race around an oval track packed with shale and dirt, using the surface to powerslide into the bends. They easily reach speeds of up to 110 mph (177 kph) on the straight sections. 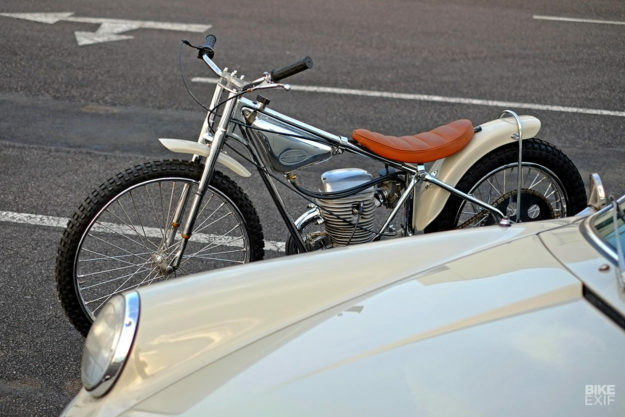 It took Bobby and the craftsmen of Dutchmann three years to complete the nut and bolt restoration of the 1968 Jawa, which now sports Dutchmann’s signature grey paintwork and tan leather detailing. 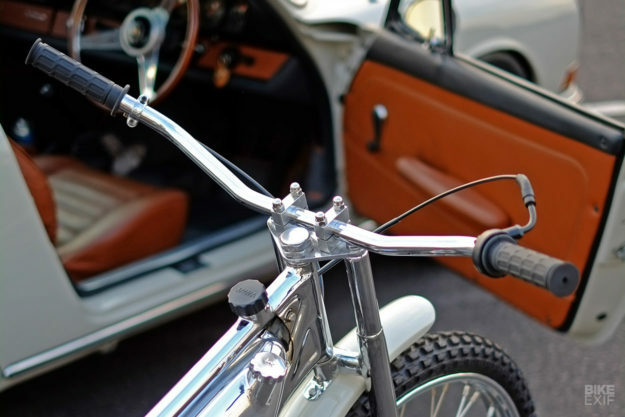 Bobby Hack has been building bikes since the age of 10. 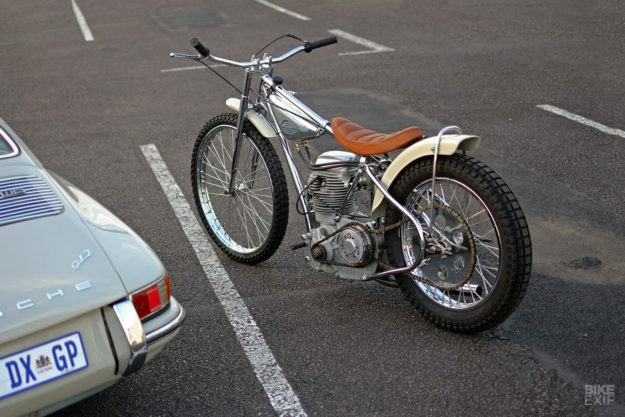 “I restored an old BSA at the age of 16 and rode it to school,” he recalls, and then trained under the eye of Ian Scheckter—the brother of 1979 Formula One world champion Jody Scheckter. The Jawa arrived in Africa via another champion: the Australian speedway rider Geoff Curtis, who won nine Australian speedway caps. Bobby managed the mechanical aspects of the rebuild. 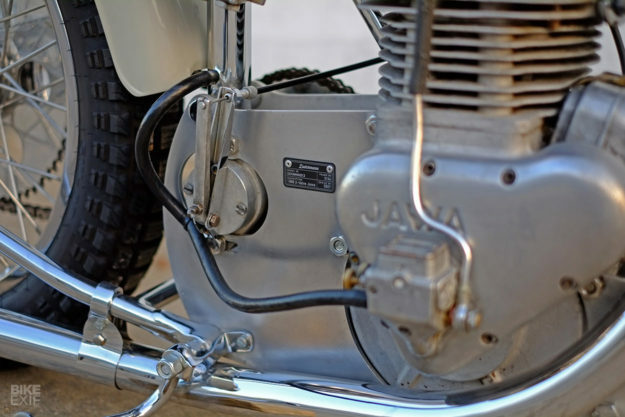 The 500cc 2-valve pushrod ‘upright’ motor runs on castor oil using a classic ‘total loss’ system where the frame serves as the oil tank. The motor was fully rebuilt, and given a light hone and refurbishment. But there was little to replace other than a set of rings and the Lucas magneto. 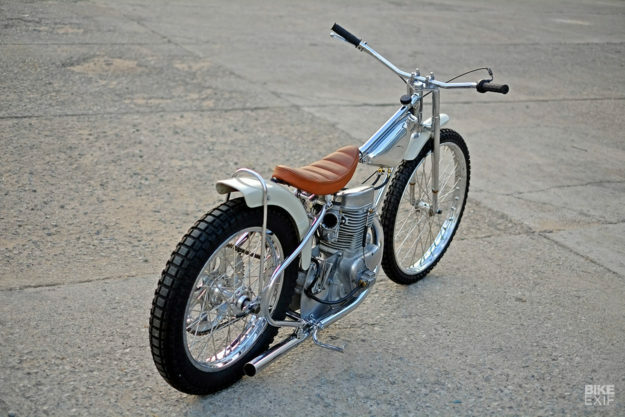 Given the use of methanol and castor oil, zero carbon build-up means a well-maintained speedway motor remain spotlessly clean throughout its life. The original Amal carburetor (with a main jet “the size of a matchstick”) was rebuilt and adjusted to spec. 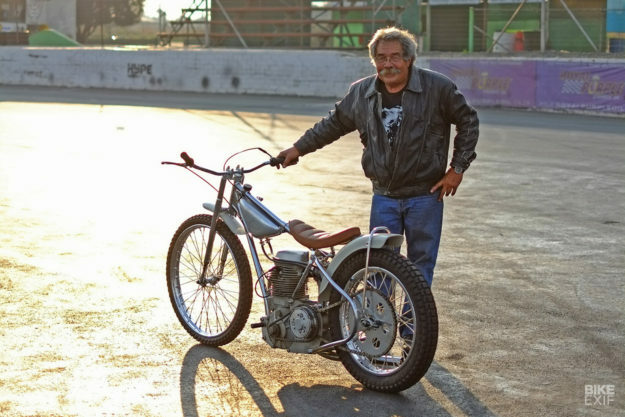 “The Jawa was mostly complete from the outset, so we kept it stock,” says Bobby. 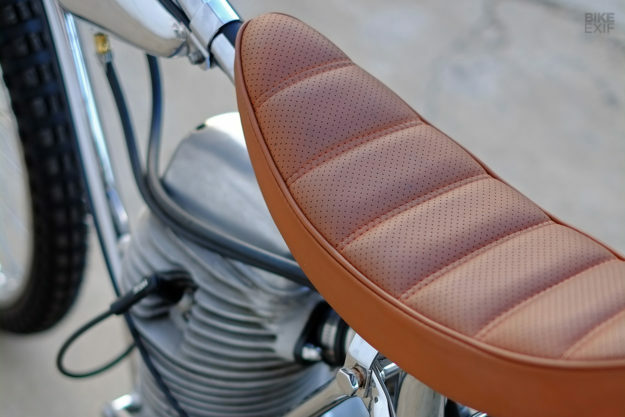 “The only contemporary parts we added were a twist throttle, and new cables and hoses.” And of course, Dutchmann’s signature touches. The frame was shipped off to Gavin Oliver of Buff King—Dutchmann’s metalworker of choice. That included the repair, polishing and chroming of the frame, the sprockets and the original rims. New spokes were custom made by spoke specialist Central Wheel Components in Birmingham, England, then shipped to South Africa and built up by Oliver. Dutchmann’s paint specialist Andrew Trow managed the limited paintwork and David Corlett saw to the leather detail on the original seat—using Dutchmann’s signature tan hide, which serves as standard spec on the majority of their Porsche Weekend Racers. 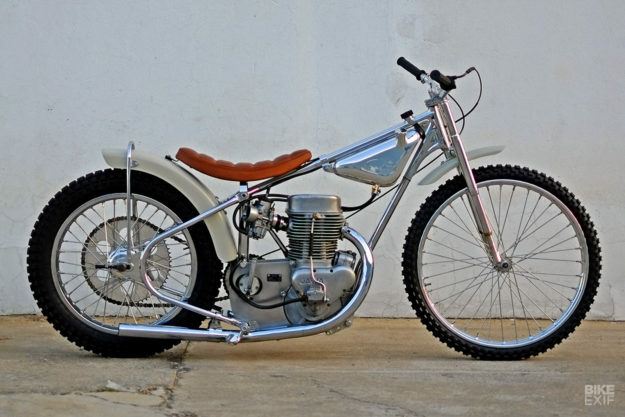 Half a century after it was originally built, the Jawa was complete. 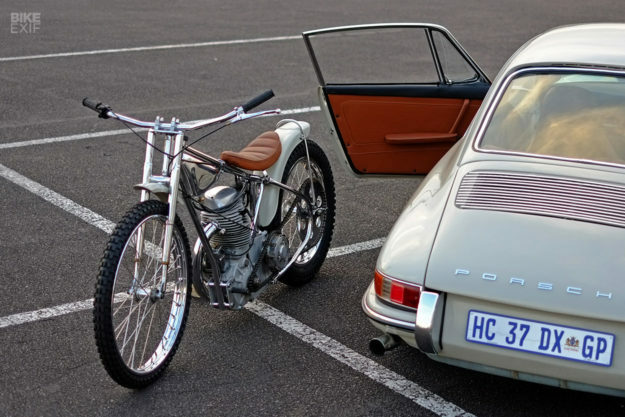 The team decided to pit it (and the replica Dutchmann ‘Desert Racer’) against a Porsche 912 at The Rock Raceway, a local Johannesburg drag strip and drift-oval.